All of that wishing and hoping has finally paid off. Nintendo has finally announced a Nintendo Switch entry in the Animal Crossing series. It all went down today during the Nintendo Direct, during which it was confirmed that Isabelle would be a playable character in Super Smash Bros. Ultimate. Near the end of the presentation, the company finally saw fit to grace us with a fun little animation of Tom Nook telling us about his "friends" and how he likes to see them try new things. He was especially proud of Isabelle, naturally, but there was still one more announcement to come. 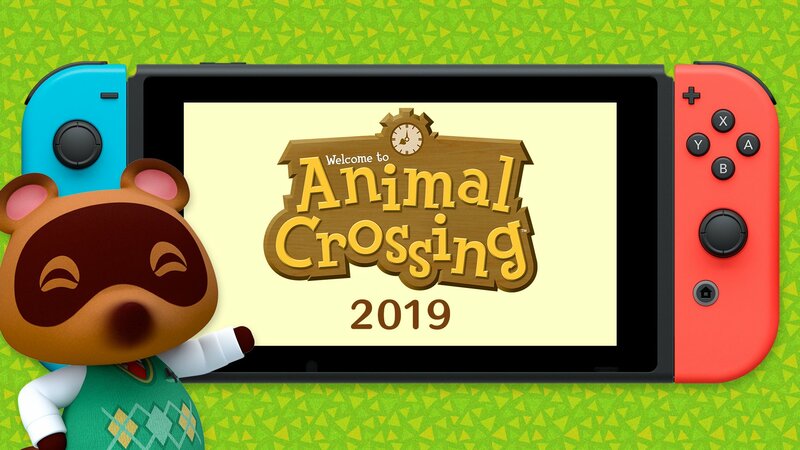 Just when we thought the presentation would really end without an announcement for a new Animal Crossing, Nintendo shocked us and went ahead and brought out the big guns: Animal Crossing, coming 2019 to the Nintendo Switch. Unfortunately, that's basically all we know so far. When Nintendo sees fit to run down the details on what we can expect from the new game, then we'll happily report on them. For now, it's all going to have to remain supposition. But we're definitely as happy as can be, because this has been a very long time coming. No more Animal Crossing: Pocket Camp holdovers for us. We're finally getting the real thing, and we can't wait to get our hands on it. Are you psyched for a new Animal Crossing for Switch?